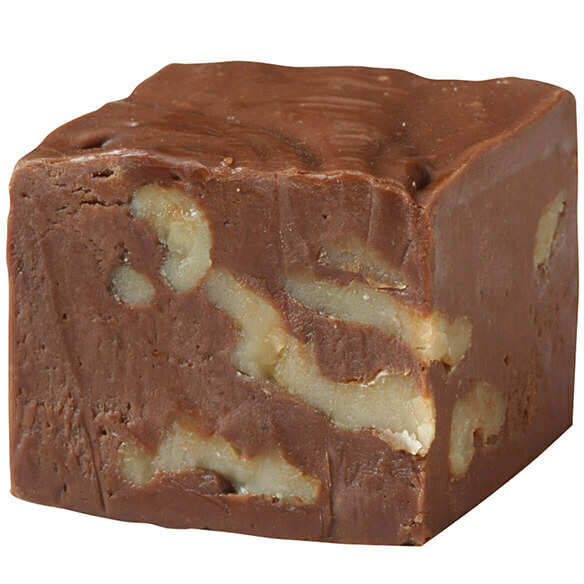 Sucrose-free chocolate fudge with walnuts is a fudge-lover’s fantasy! Our fudge is full of old-fashioned goodness with flavors so rich and decadent, you won’t believe they’re sucrose-free! Sweetened with Sorbitol and Maltitol. Each box of gourmet fudge weighs 12 oz. Allow 2-3 weeks for delivery. No express shipping. Because I need what you offer for sweetener. I never had this. I’m going to see how it compares to fudge with sugar.